Misplaced teeth or an “improper bite” can not only detract from people’s smiles; but may also lead to tooth decay, gum disease and eventual early tooth loss. For these, among other reasons everyone should have an orthodontic check-up at least once, the ideal age for which would be 7 years, though age is not a bar for treatment with braces. 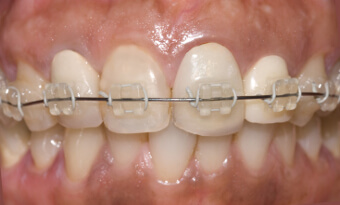 Fully-programmed Metal Braces are now much smaller than they used to be. Even less noticeable are Esthetic Tooth-Colored Braces. 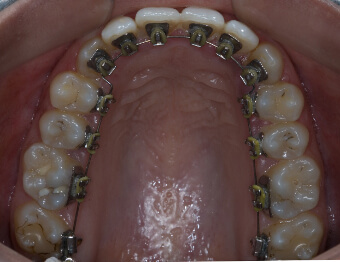 In some instances, braces can also be placed on the inside surfaces of teeth, so they are not seen at all. If you want to make a style statement; or with accessories in every imaginable color, to suit your mood. Youngsters actually look forward to orthodontic treatment if their braces come in some really cool shapes and designs – star, soccer ball, heart, flower etc. The braces apply continuous low pressure over a period of time on the teeth which help in moving them into the peculiar positions. 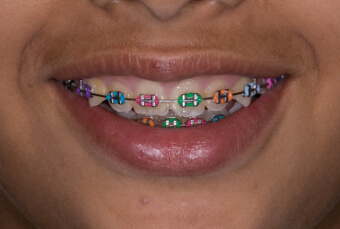 Braces made of small parts such as brackets, bands, wires, and elastics which are placed on the teeth to move them in the right direction. To achieve functionality and aesthetics, teeth may take a few months to years to move depending on the condition, age and the severity of the case. 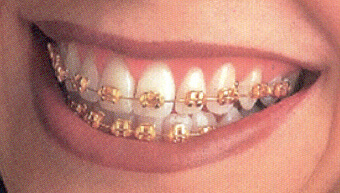 There is a misconception that braces only work for kids only not for an adult which is a myth. Nowadays the people not happy with their smile because of misaligned teeth, they can go for an orthodontic treatment. However, the duration of the treatment might a little longer in adult as the bone is denser in them. But with treatment options like invisible, ceramic and lingual braces, treatment time and a great smile is not a problem.